The UNIVERGE SV9300 Communications Server is a Unified Communications solution that is ideal for medium-sized businesses. The server is designed to help solve today’s communications challenges and is built with your migration path in mind, so you can easily scale as your business grows. 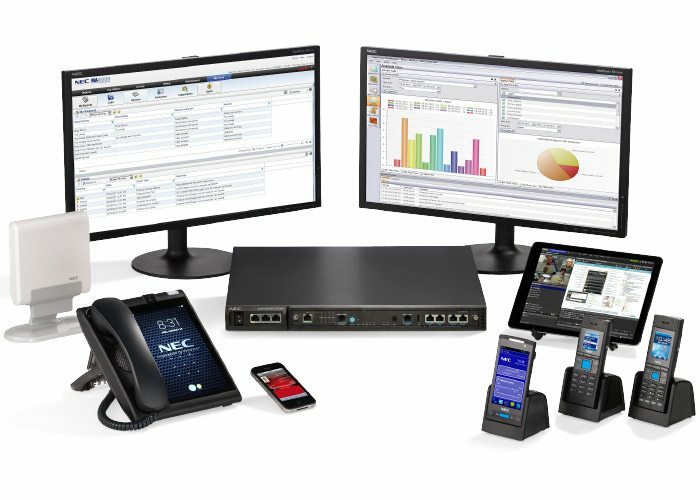 NEC’s SV9300 UC suite of applications for medium-sized businesses gives you the communication tools you need to streamline communications and information delivery. With this powerful solution your information is centralized and messages unified, so your employees can efficiently manage day-to-day business and real-time communications easily. With SV9300 UC, your employees retain ownership of their communications. They can set their schedule and their phone rings accordingly, or launch a meeting/customer service session and manage it directly from their desktop. SV9300 UC gives your employees exactly what they want, unencumbered communications tools that they control.